As above, I'm after a low profile rail riser. Complete vfc saber cqb front end. 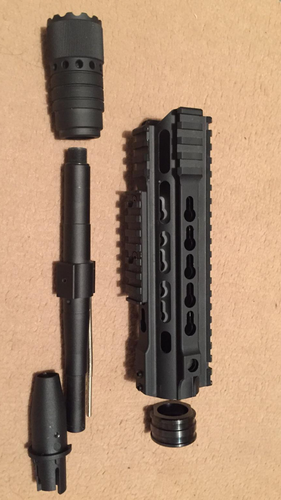 up for sale is this Complete VFC Saber CQB from end. Condition is almost perfect. £75 all in. Definitely interested in swaps. 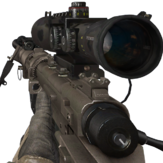 See below:PTS EPS stock - blackpTS EPG-C - blackNight evaluation inforce torch - Black or Tan (1 of each would be cool) T1 Red dot sight - black or tan. (One of each would be cool. As above I’m trying to get my hands on a madbull spikes bar or madbull JP rifles 7 inch rail. 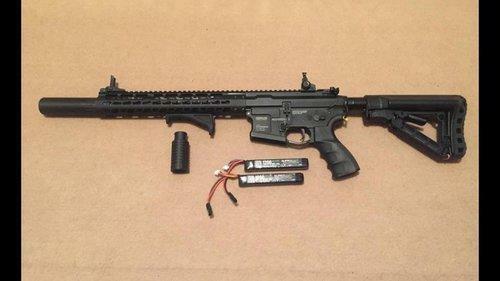 Wild Hog GCGun/Model: M4Accessories: 1 x 11.1v Lipo & Sound ampCondition: Almost brand new. 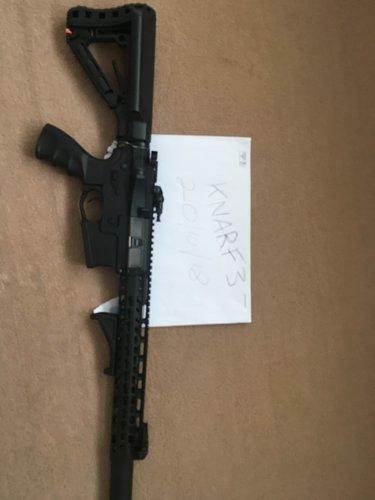 FPS: 400Splits/Swaps/Part Exchange: No/Yes/YesPrice/Payment: £220Pictures: YipUp for sale is this killer G&G Wild hog GC. All metal, DMR build. The gun is in fantastic condition and has had a few changes made to make it into a solid 5.56 DMR. First up was the spring change to get the fps up to 395 and a new selector plate to lock it to Semi Auto, I t’s had the piston and air nozzle replaced & has been properly shimmed. Also fitted is a longer stainless tbb that has been s-hopped and as you can see runs through the flash hider and into the suppressor. The suppressor it’s self gives this rif a really nice low bass sound. Included in the sale is an 11.1v Lipo as well as the original sound amp. Please be aware the due to the increased length of the barrel it does now almost run to the end of the sound amp. In short this gun has had everything done to make it a fantastic DMR, Sadly for me most of the places I play are cqb so I have no real need for a DMR. I am am very interested in swaps for a more cqb friendly M4 of the same quality & condition Or I don’t mind part Exing & throwing a few extra quid at somthing really nice. I need to raise some funds for a new IPhone 7 or 8 so this has to go. Shoots at 395fps, has had a new piston & air nozzle, & S hopped tight bore barrel which runs into the flash hider and is then covered by the suppressor. Locked to Semi only. Will only come with one battery, QD suppressor and an almost full bottle of .32 bbs. Only been used about 5 times and is in fantastic condition. I'm open to trades for a new IPhone 7 or 8 in Jet Black I don't mind adding a few extra £s for the phone. Anybody know how I can get the smell of cigarettes out of a warrior plate carrier? Has anybody fitted an airlab sorbo pad to an octarms? Also which part it glued to the piston head, black or white?